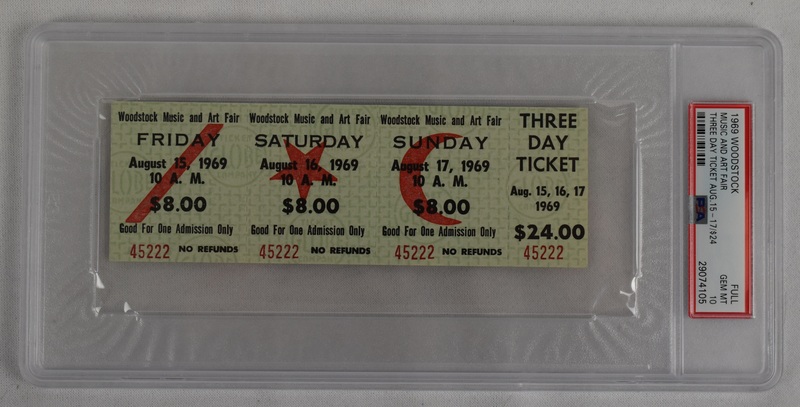 Suitably billed as "3 Days of Peace and Music", Woodstock attracted an audience of more than 400,000 spectators, and was held on a dairy farm in the Catskill Mountains of southern New York State. While featuring legendary acts such as Crosby, Stills, Nash & Young, Jimi Hendrix and Joe Cocker, it was one of the most notable concerts in history. 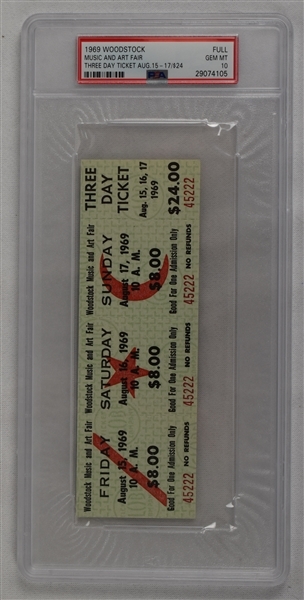 Offered here is a PSA Gem Mint 10 unused ticket from Woodstock. Displaying sharp corners and a brilliant surface, it displays perfectly. 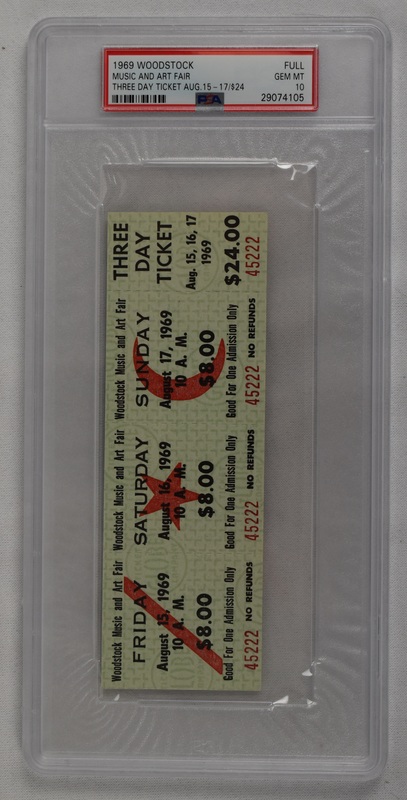 There have only been a grand total of 91 of these Three Day $24 Full Tickets graded in PSA 10 Gem Mint condition by PSA. A miniscule amount considering the occasion.